Asphalt: Boring To Some, But Crucial To All! PaveCo, is an asphalt and paving company located in Hollywood Florida. Asphalt is one of those subjects that most would scroll past as a possible article to read. I mean what is there to say besides the obvious, it’s crucial for roads and parking lots and driveways and it makes all of the above possible and hopefully smooth (if cared for). When we began our PaveCo journey, we wanted to find a way that would entice the general public to not only our brand, but what we do. So we got creative. What if we focused more on the who, what, where and why’s of the asphalt and paving business? What if we showcase our Hollywood, Florida staff and humanize to whole process. So that’s what we did and what we will continue to do. Asphalt and paving companies aren’t topics that usually come up in happy hour conversation…unless on the way to happy hour you busted your tire in a pothole or almost crashed trying to dodge a sinkhole. It’s rare we speak about how smooth our drive was or how nice it was to pull into the grocery store the other day and park easily and without any bumps in the lot. BUT maybe we will talk about the story we read about the guy who paves for PaveCo, in Hollywood Florida, who is from the Virgin Islands or the funny video we saw of guys “filling holes” at the post office parking lot. If we humanize an often mundane subject, just maybe we will bring attention to the matter as well as our asphalt and paving business. It’s so easy to take for granted the simple things in life, like a smooth drive home. We never talk about how great that ride was, we only talk about how bumpy it was or how we almost blew out our tires because of potholes etc. So let’s take a minute to appreciate asphalt and paving. Remember, a well constructed paving job should not require any sort of maintainence, i.e. sealcoat for 2 to 5 years. If the job is done right the first time, the rest will just be low cost maintenance, and therefore shouldn’t become conversation unless it’s about how great the parking lot looks! This is what PaveCo, in Hollywood Florida, strives to do. To make asphalt and paving, a normally boring subject to most, an at least slightly more entertaining one as well as a knowledgable one. We make sure that our work is done carefully, diligintly, safely and perfectly. And because our work is done so well, we rarely make dinner conversation… but at least maybe our company will. Appreciate businesses that provide safe and smooth parking for their clients, customers, tenants or staff. It’s a small price to pay to make sure everyone’s day starts off smoothly. Don’t let neglect of your exterior prevent hard work or business in your interior. 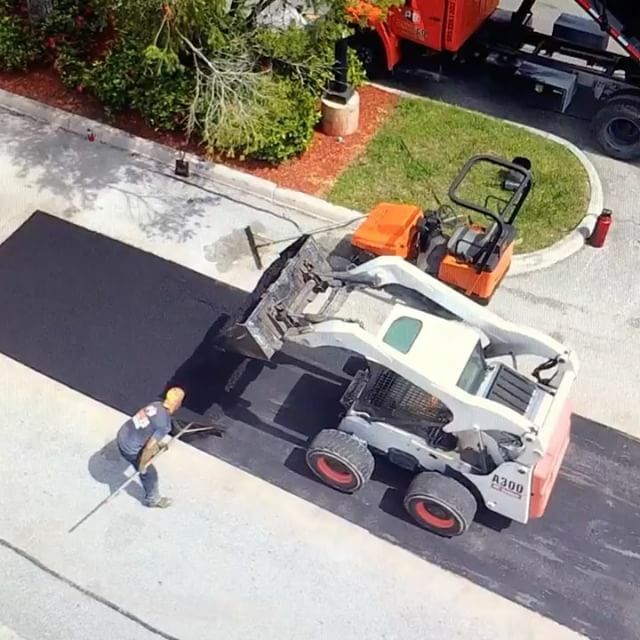 PaveCo, located in Hollywood Florida is here to make sure your paving, asphalt and overall parking maintenance needs are met. Call us today! PaveCo is a full service provider of complete asphalt, paving, and parking lot maintenance services. We specialize in providing Best-in-Class services to our clients throughout the state of Florida and work with clients to ensure all their project needs are completed on time and within budget. © 2017 Paveco Inc. All Rights Reserved.